Are you a Francophile? Then you must know: Juillet flippe énorme! Translation: July is freaking huge! 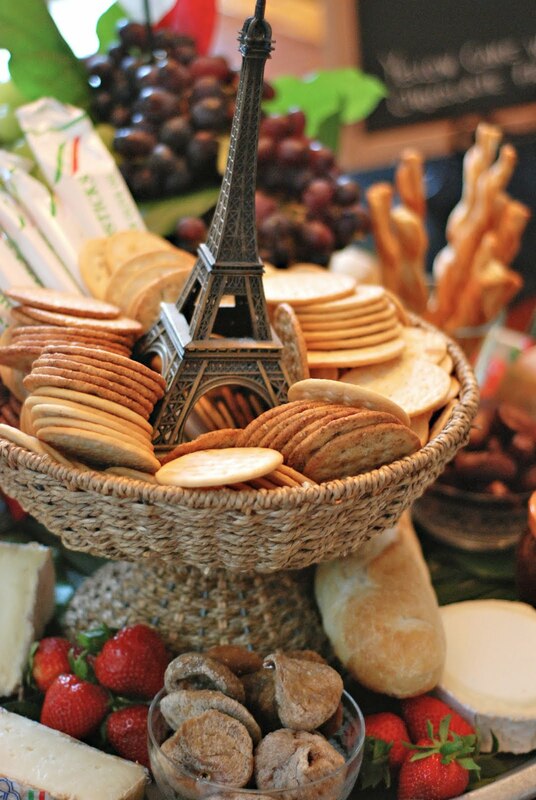 Celebrate your choice of French festivities and Vive la France all month long. Bastille Day is kind of like our July 4th holiday. In France it is known as La Fête Nationale, and commemorates the beginning of the French revolution. July 14th is a national holiday in France – and definitely worth celebrating here. 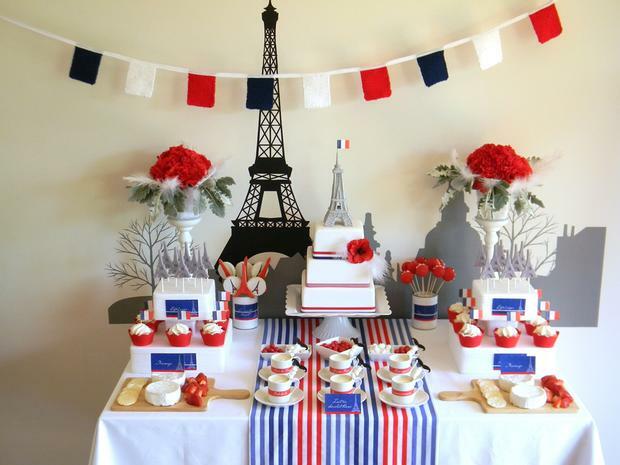 Your local French restaurant will probably host a dinner, but you can hold your own Bastille Day Fete! 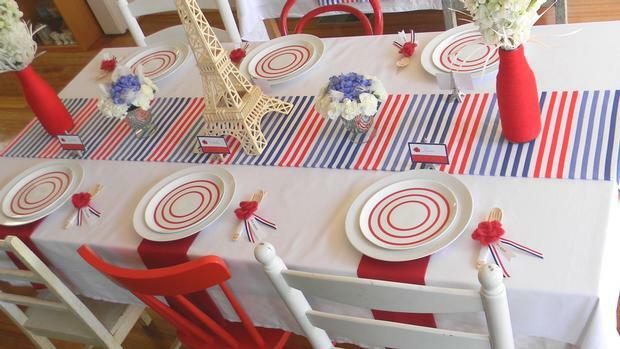 Vive le France with French food and decor (bonus: you can reuse some of that red, white, and blue swag from Independance Day)! And of course...macaroons! Try your hand at making them yourself. Le Tour (as it's affectionately referred to) takes place from July 5 - July 27. This gives you lots of choices for party dates! 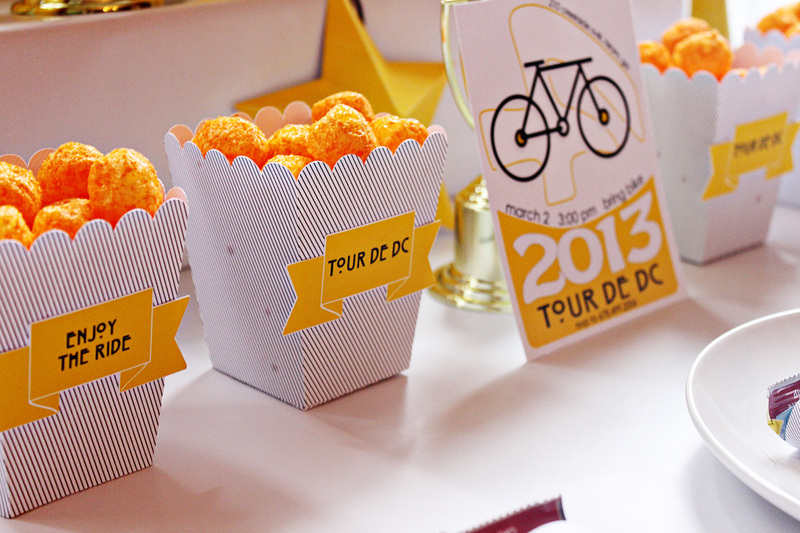 The Tour de France is a great reason to celebrate, and an interesting theme for a summer family picnic. Encourage kids and adults to bring their bikes for a mid-party tour de quartier (neighborhood). Yellow is the official color of the Tour de France. This can make decor challenging. Allison from The English Pea Studio says to keep it simple. "One of my most common tricks is using a lot of white," she advised. "Since I use bright, bold colors on a regular basis white is the perfect backdrop to make those colors pop. It is really easy for things to get busy fast so if you know you just don’t have that knack for putting patterns and colors together (honestly, it is truly a God-given talent and it can be hard to carry out) then stick with a white backdrop (or a solid color). It won’t steer you wrong." 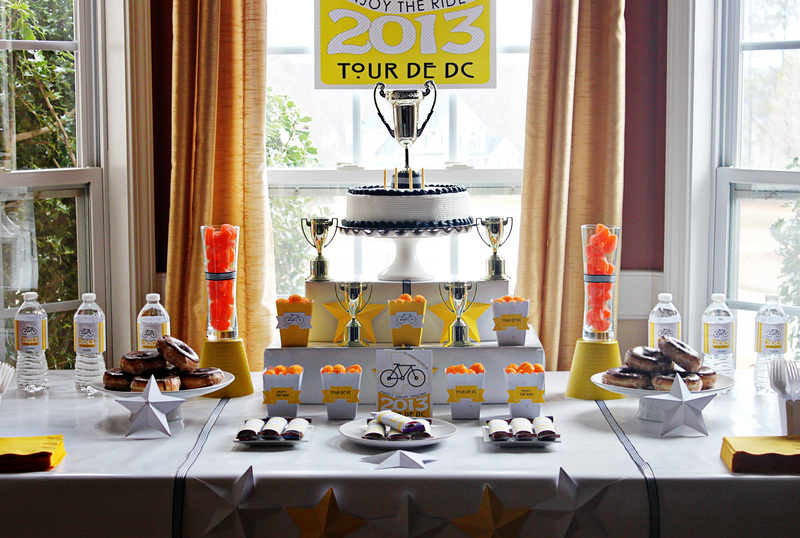 Her son's Tour de France inspired birthday party proves this approach works! 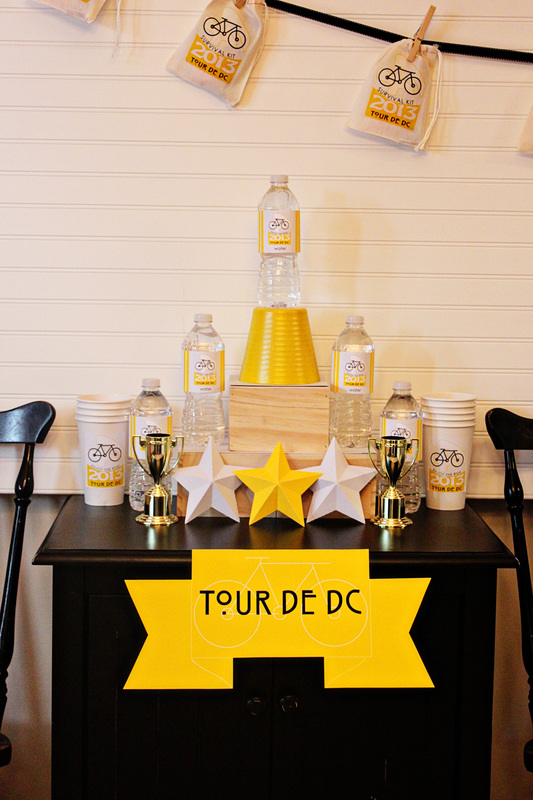 Her custom printables made this party beautiful on a budget! Are you having any French Fetes this July? Let us know in the comments or tag #GMParties on Instagram or Twitter.